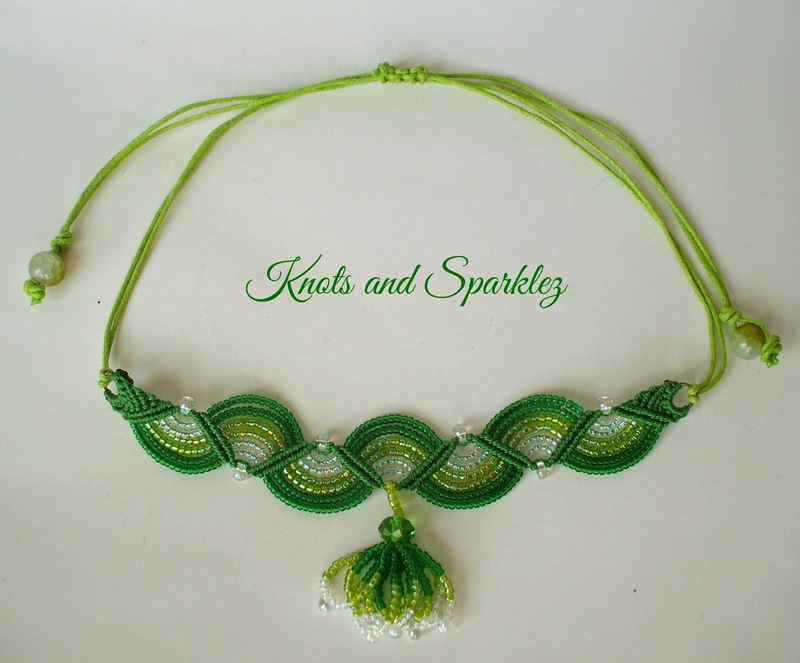 Knots and Sparklez specialize in Micro Macrame jewellery and was started by Vicky and all of the Macrame Jewelry pieces are patiently hand knotted by her. 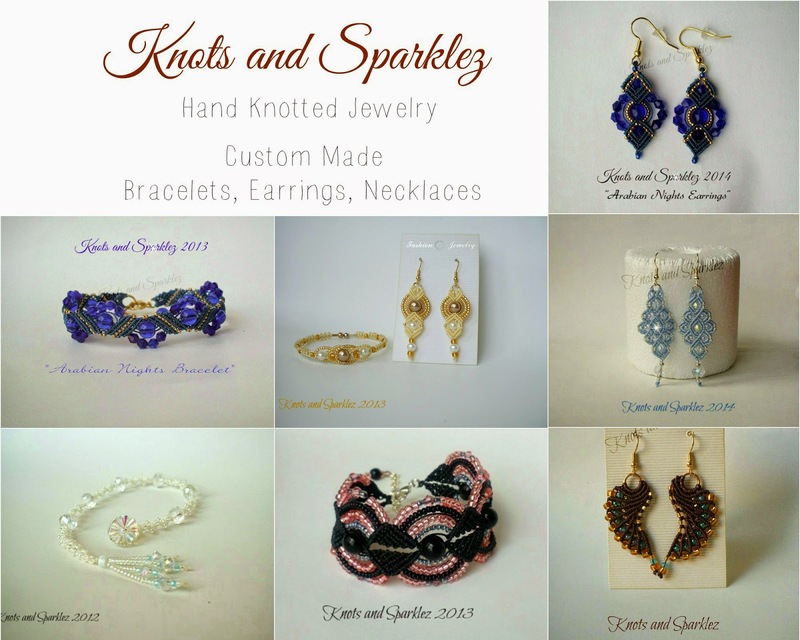 Vicky started Knots and Sparklez venture after visiting some bead shops in Manhattan, NY in search of an owl charm for a friend who collects them. On that day a whole new world opened up for her. She decided to try and make some items as gifts for Christmas that year and it went so well that she never stopped. Through books and websites she learned the basics and then through experimentation everything else came along. Coming from a family of artisans, she learned to sew, crochet, knit and embroider, lanyard knotting and macrame in summer camp as a child. Specializing in Micro Macrame was her choice because of the look and feel of the knotting patterns and to stretch the possibilities. Micro Macrame is a modernized version of the old style Macrame, which used thicker cords and chunkier beads, it was widely popular in the 70's and was used to make belts, curtains, plant holders, purses, etc. How she learned Micro Macrame? Vicky started with easier projects with some free patterns found on the web. As she got proficient with the knots, she practiced more advanced knotting patterns, tried to figure out new techniques of knotting and learned how to "read knots" which means to figure out what type of knots make up a particular pattern and which direction the cords take, without having any instructions. 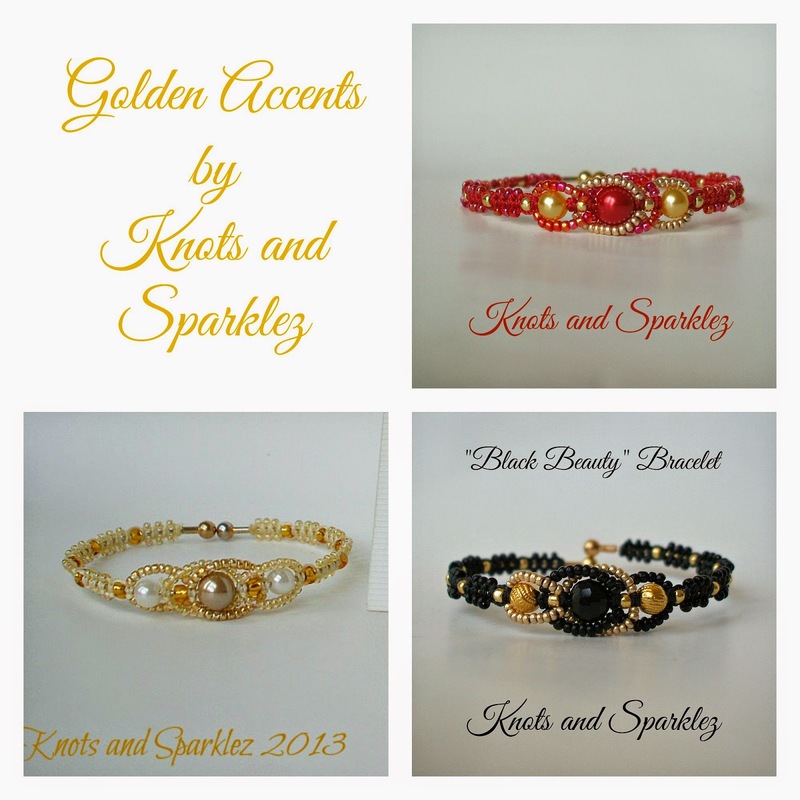 What all Knots and Sparklez make? 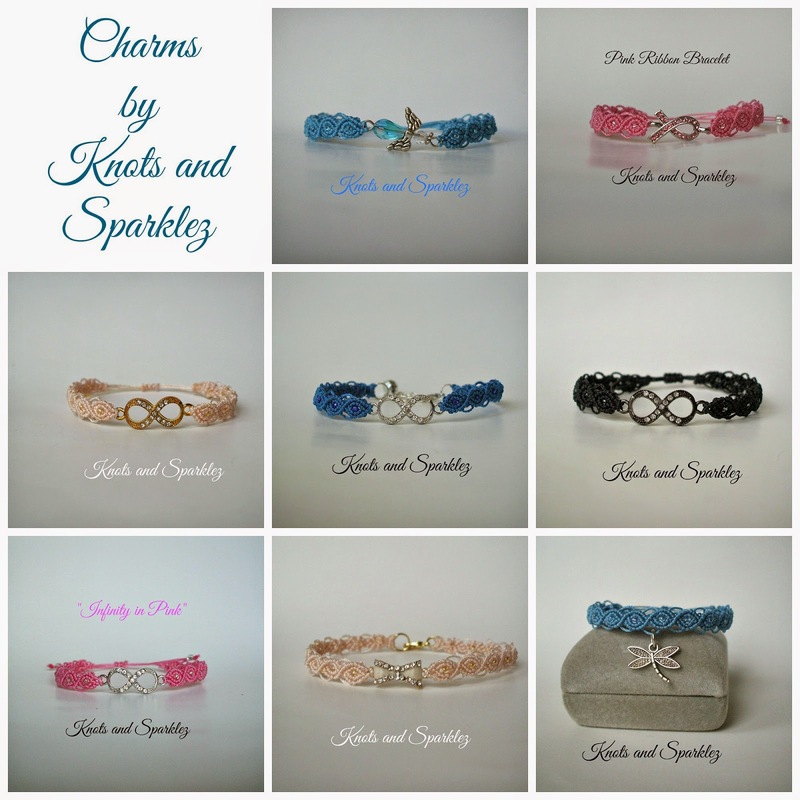 You can also visit the website and the Etsy store to take a look at the work done by Knots and Sparklez. And Knots and Sparklez has a free tutorial for all the readers. It's a PDF format which is free for download. Here is the link to the tutorial "FREE bangle bracelet tutorial". Just need to scroll down to the end of the page till you find the title mentioned above and download the tutorial for free.